A friend of mine wanted me to back up her old PC and laptop so that she could discard them. She still had a few files that she wanted but hadn't used the computers in more than a couple of years. The PC was an IBM but I forget the model. It had Windows 95 on it! It wouldn't take a USB key as expected by luckily it had a LAN port. So I zipped the needed files and put them on my server. 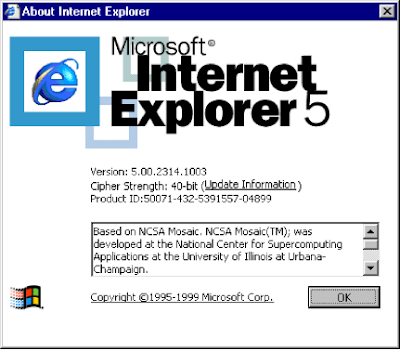 At that point I noticed that it had IE 5 on it. 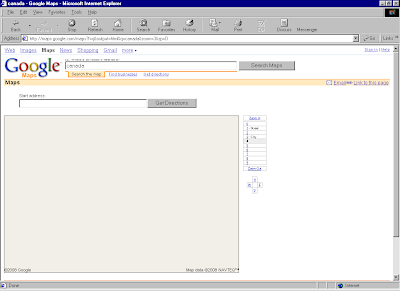 I had an idea and thought to test how IE 5 would see these futuristic websites. 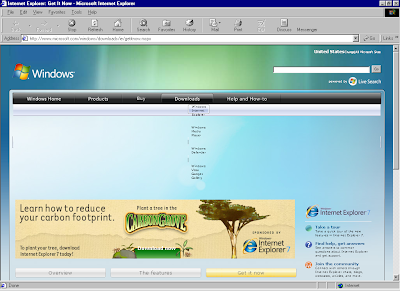 Here are a few screenshots with the "About IE" as the very first. 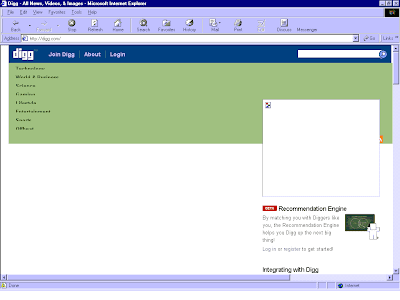 The very first page was from Microsoft® which was offering me to update to their latest browser! As if I will be able to. Don't they do any kind of browser sniffing? 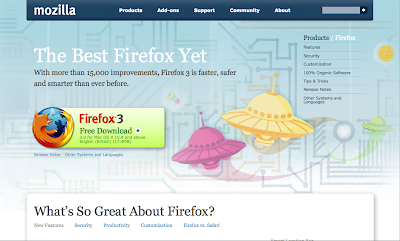 The second page I pointed it to was Firefox download page. 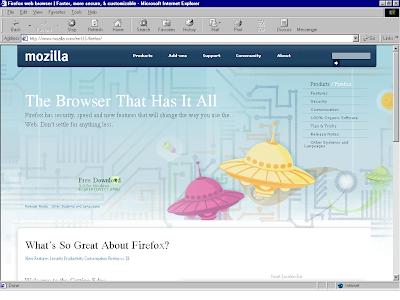 It was able to render the page quite nicely, except the main part: the download area with the Firefox icon. Compare it with the correct rendering. Then comes Google Maps. Tried to search for Canada and look what it gave me. 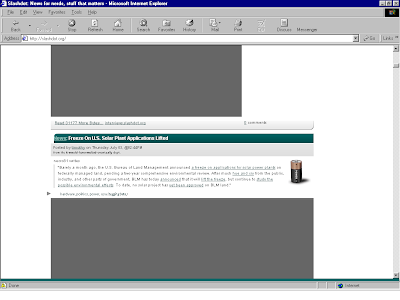 Although IE5 got the XMLhttpRequest object in ActiveX in 2002, this version of IE is probably older and has lots of trouble handling AJAX. 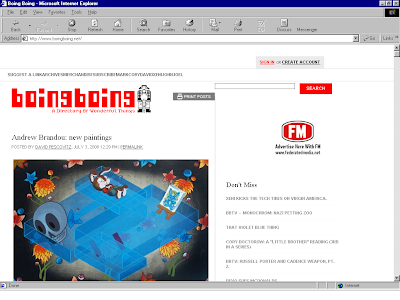 Next came another community site: boingboing.net IE5 was able to handle it in a better way than Digg! 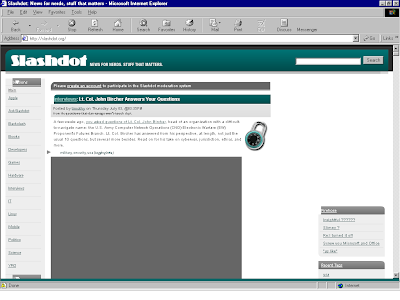 In the end are a couple of screenshots of slashdot.org. Although the complex CSS was rendered nicely but barfed when it saw the grey part. The grey part extended for about 9 page-downs after every story! More to come: screenshots of the mess IE5 created for rendering Apple's page.